As with anything else flower or gardening-related, before you even bring your plants home you should have already learned everything about them, if possible. At the very least one should figure out all the specifics – how much light they’re supposed to receive, how much water, what types of soil best suit them, etc. 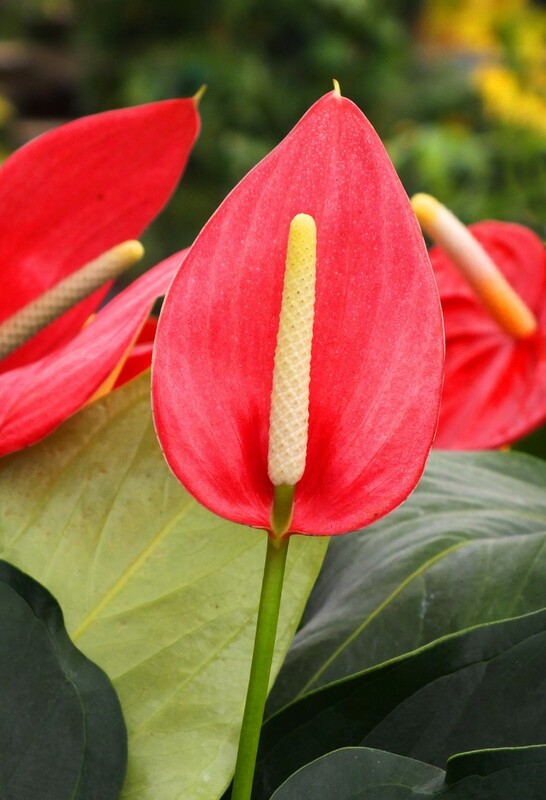 For example, canna and bougainvillea are known to be extremely eager for up to six hours or more of direct contact with sunlight, while caladiums might require both intense shade and light (although in smaller amounts). These types of flowers likely evolved from situations largely dependent on the layout of the jungle / forest they sprang from, for instance. Typically speaking, certain varieties of tropical flowers tend to grow in very specific places in their native habitats. Again, it’s extremely helpful to know this information, especially if you plan on planting year after year and/or want to create a very impressive and colourful layout around your home, for instance. 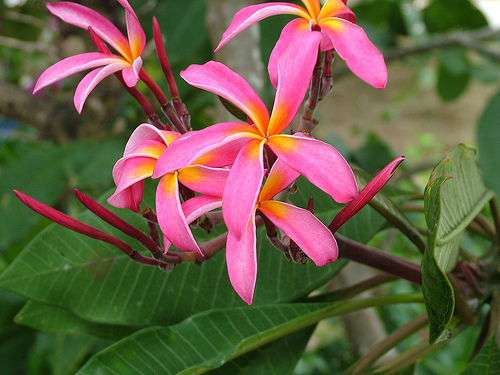 These days, a lot of the tropical flowers you’ll receive will be grown in farms or greenhouses, but that really doesn’t change the fact that they need extra special care and attention. Yet another interesting facet of tropical flowers is that many species don’t actually have a “growing season”, they tend to bloom and grow continuously, which again adds greatly to their overall appeal. Is your area warm enough for outside display? First and foremost, you really can’t expect to have most types of tropical flowers outside around your home if you don’t live in a relatively warm locale. Typically speaking, residents of a US territory like Florida stand well in this regard, basically getting warm temps throughout the year and so forth. This isn’t to say that there aren’t workarounds, because that’s exactly why a lot of growers tend to place their plants in planters – which allow them to be brought inside during the night fairly easily when there’s inclement weather afoot. Simply put, if you’re not hitting the high 70’s, 80’s or 90’s during the day at all, you’re going to have problems when it comes to cultivating tropical flowers in your area. 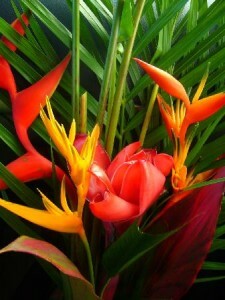 Moreover, some types of tropical flowers, like orchids, for example, like to have a day to night fluctuation of around 10 to 15 degrees. Clearly, managing such an operation and being able to keep track of all the specifics required by all of your different plants isn’t always easy unless you’ve already brought them inside full-time. As you might expect, light, humidity and temperature remain the most relevant factors when it comes to caring for tropical plants. Yes, it’s important to know when and if you need to add mulch to that plant (which helps to retain moisture and so forth), but the three above factors remain much more vital in terms of everyday maintenance. Obviously, if your climate is appropriate it’s only a matter of sticking them somewhere outside that’s prone to receive lots of sunlight. However, if they mostly have to remain indoors (and you don’t have a greenhouse) then installing some type of lighting system in one or more rooms might be worth investigating. Quite obviously, most conventional growers aren’t going to create an advanced set-up in their home, perhaps opting for placement during the day near large windows instead, etc. Humidity is also of grave important although it is often overlooked. Naturally, one’s home isn’t exactly the best place to foster the exact sort of humidity you’d need for tropical plants, but there are things you can do to compensate. Firstly, you can just opt to use a humidifier wherever you have plants sitting. Quite obviously this is an ideal solution which directly confronts the issue, but there are other solutions too. Some people like to place pebbles in their trays and planters. Naturally, this is a very cost effective and simply solution that works for lots of different varieties, but it isn’t always universally ideal either. Grouping all of your tropical plants together is an even simpler way of increasing humidity, and that can be supplemented with a regular water “mist” schedule (just use a spray bottle to keep them dewy each time you walk through or past the room where they’re kept). Again, if you live in an area with a pronounced and definite winter season then you absolutely must take steps to protect your tropical flowers. All experts agree that you should definitely bring them inside well before the “first freeze” in fall. Failure to do this will result in either the death of the plant or extreme damage. Additionally, some types of plants actually undergo dormant phases, meaning they won’t require light at all, only a cool dark locale (click here for additional information and a list of tropical flowers which can be stored when entering into a dormant phase).